Developments of this product has halted and it is being sold because there's still some demand for this board. The boards features are listed below. The hardware is fully functional and software is as is. 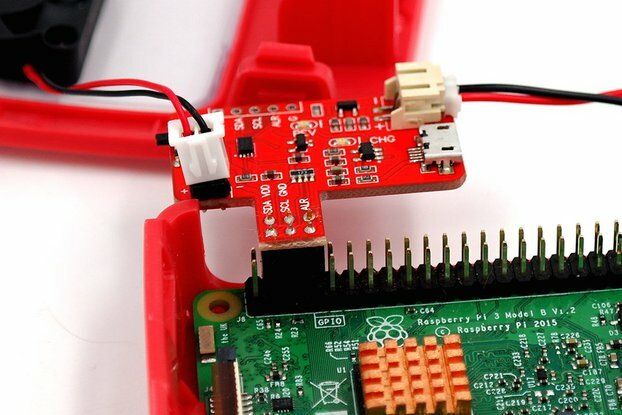 The male headers are soldered on by default so make sure you have an RPi zero without header or with a female header. The display on this board has a resolution of 320 by 240 pixels with a screen diagonal of 2.2”. It is connected to the Raspberry Pi using the SPI bus. 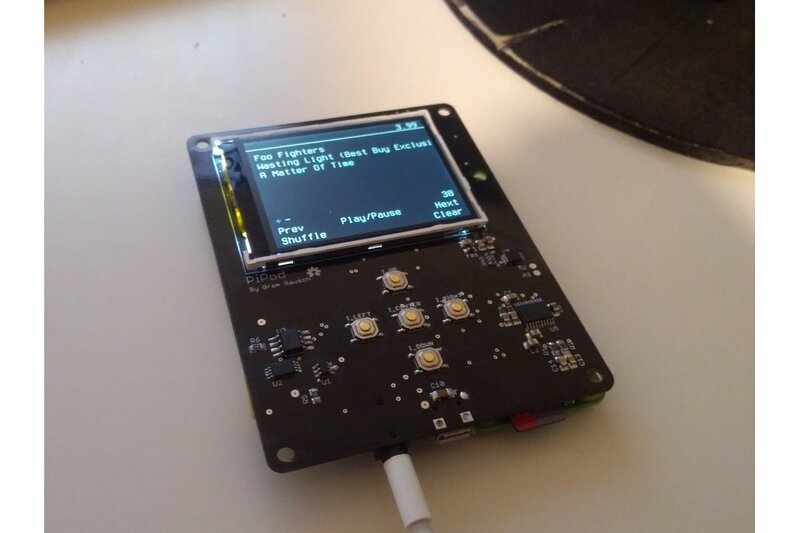 This board includes the PCM5102A a 24-bit I2S DAC with a 3.5mm jack. This IC is used to generate high-quality audio without a hum. On the board are controls for navigation, volume control, and backlight control. There is also a slide switch on top to select between the USB output (off position) and battery output (on position). The battery is charged using the TP4056 charger with a charge rate of 1000 mA. It is also protected by the DW01 battery protection circuit, this IC protects against overcharge, over-discharge, and overcurrent. 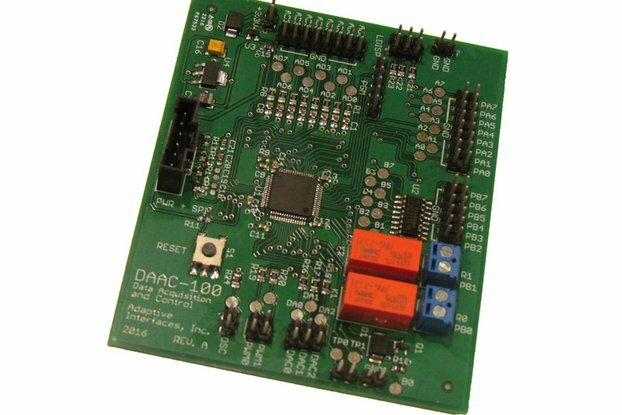 Battery monitoring and charging detection are implemented using an ADS1015 ADC. 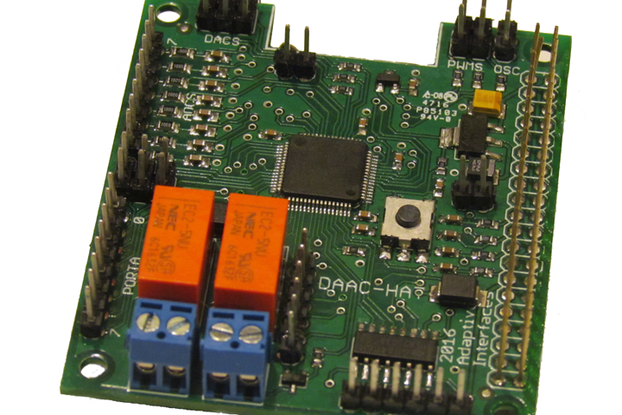 The ADS1015 is a 12-bit ADC that is connected using I2C to the Raspberry Pi. Channel 0 is connected to the USB connection and channel 1 to the battery using a voltage divider, channels 3 and 4 are not being used but are broken out to two test pads next to the ADC. The nominal voltage of 3.7v outputted by the battery is converted to a steady 5v output by the MT3608 step-up converter. The MT3608 include under-voltage lockout, current limiting, and thermal overload protection.